We just learned *another* new Lorelai quote from "Gilmore Girls: A Year in the Life"
Have you recovered from yesterday’s all-day Gilmore Girls celebration yet? October 5th marked the 16th anniversary of the show premiering on The WB almost two decades ago, and we celebrated with lots of coffee, Luke himself, and an overload of our favorite Gilmore Girls things. Everything magically came together with the Luke’s Diner pop-ups across the country, where FREE coffee was handed out. Each cup had a *perfect* Lorelai coffee quote on the back, and they all really spoke to our soul. But, turns out, of these quotes we hadn’t heard before, because it’s actually from the upcoming A Year in the Life. "Everything in my life has something to do with coffee. I believe in a former life I was coffee." Whenever it happens, and whenever we hear it, it’s another *perfect* coffee quote. 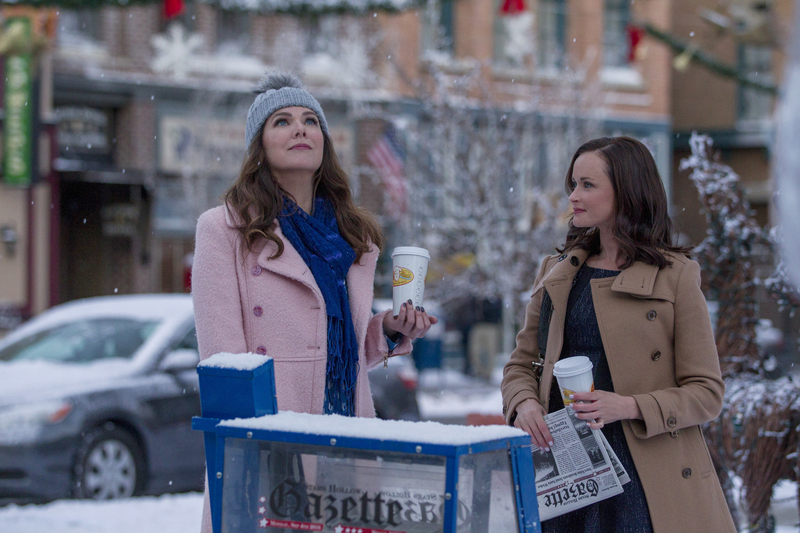 If Gilmore Girls is looking for some sort of prequel spin-off after A Year in the Life is done, following Lorelai’s past life as a hot cup of coffee sounds like something we would totally binge — and yeah, it’d be a little bit weird, but we’ll take whatever Gilmore Girls we can get.